Leakage current between two metal transistor electrodes results when the gap between the electrodes narrows to the point that electrons are no longer contained by their barriers — a phenomenon known as quantum tunneling. The researchers synthesized the first molecule** capable of insulating (preventing electron flow) at the nanometer scale more effectively than a vacuum barrier (the traditional approach). 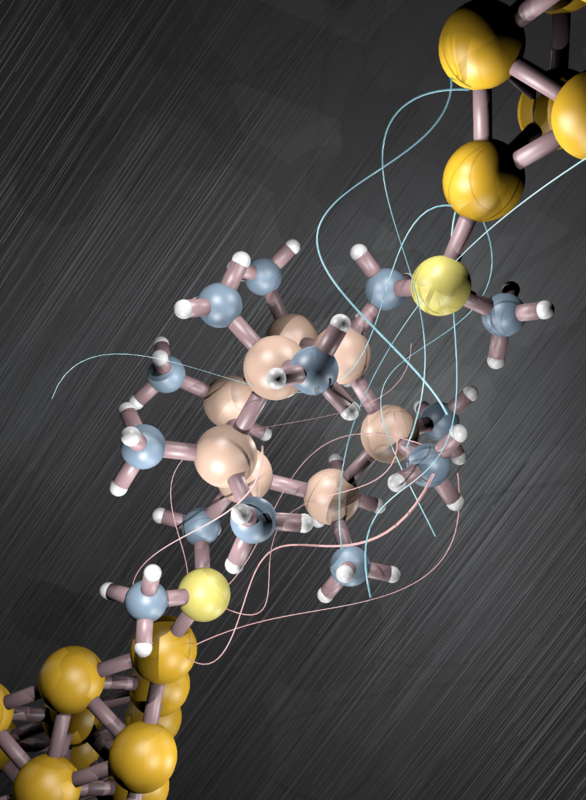 The molecule bridges the nanometer gap between two metal electrodes. The silicon-based molecule design uses “destructive quantum interference,” which occurs when the peaks and valleys of two waves are placed exactly out of phase, annulling oscillation. “We’ve reached the point where it’s critical for researchers to develop creative solutions for redesigning insulators. Our molecular strategy represents a new design principle for classic devices, with the potential to support continued miniaturization in the near term,” said Columbia Engineering physicist Latha Venkataraman, Ph.D. The research bucks the trend of most research in transistor miniaturization, which aims to create highly conducting contact electrodes, typically using carbon nanotubes (see “Method to replace silicon with carbon nanotubes developed by IBM Research”). * Other researchers on the team were from Columbia University Department of Chemistry, Shanghai Normal University, and the University of Copenhagen. ** The molecule is bicyclo[2.2.2]octasilane.